United Nations warns major corporations, including Coca Cola, they will be blacklisted for operations in Judea and Samaria. 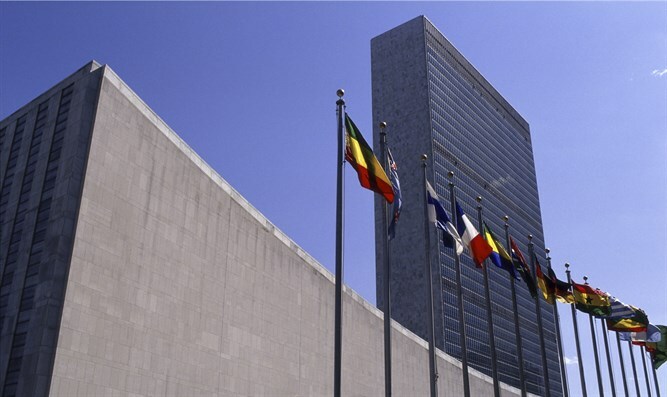 The United Nations Human Rights Council has warned a number of companies in Israel and abroad that they face inclusion in a UN blacklist over their operations in Israeli towns and industrial zones in Judea and Samaria, as well as eastern Jerusalem and the Golan Heights. In 2017, the UNHRC compiled a list of roughly 200 companies, including both Israeli and foreign firms, which were to be included in a UN blacklist for “acting contrary to international law and UN decisions,” then-UN High Commissioner for Human Rights, Jordan’s Prince Zeid bin Ra’ad Zeid al-Hussein, wrote in a series of letters to companies included in the list. According to Yediot Ahronot, the UNHRC is preparing an expanded blacklist, set to be published at the 40th UNHRC session in Geneva next month, over the objections of the US and Israeli missions to the UN. A number of major companies, including Coca Cola and a slew of large Israeli corporations, including banks like Bank Hapoalim, Bank Leumi; telecommunications firms including Hot, Bezeq, and Bezeq International; the pharmaceutical giant Teva; the Egged bus company; and Elbit Systems, a major producer of military electronic equipment. The expanded blacklist could drive some foreign businesses out of Israel, and could make it more difficult for Israeli firms on the list to secure investment capital from abroad, the CEO of the Hot corporation warned. “We believe the inclusion of Israeli companies in the UN Human Rights Council's blacklist might expose those companies to legal procedures, prompting international corporations to pull out of their investments in Israel,” CEO Tal Granot-Goldstein wrote to Prime Minister Binyamin Netanyahu and the Israeli Foreign Ministry. “We request that the Israeli government and the Foreign Ministry intervene to prevent the publication of this list. Handling this matter is a national interest of the utmost importance."